As time passes, car, office and home locks become harder to use. One of the reasons for this is natural wear and tear, but it is not the only one. Dryness is a much more serious issue for most devices. In order to deal with it, you have to lubricate them at least twice a year. Learn how to use the right product and application technique. Opt for graphite powder lubricant - It does an excellent job while being perfectly safe. It is not sticky and does not have components which may cause corrosion. Get a product especially designed for locks - While any lubricant based on graphite powder will do, the ones which are especially designed for door locksets have a thin nozzle for proper application. This feature is truly invaluable. Clean the lock and the key for it first - Dampen soft lint-free cloth in a little bit of lemon juice and scrub the entire face of the device and the key's blade and bow to remove fingertip marks and other dirt accumulations. Dip another piece of cloth into clean water and rub the surfaces again to remove any traces of the juice. Dry the surfaces with cloth. Drying is essential as without it rust may appear and lock repair or replacement may be required eventually. Insert the nozzle of the lubricant into the keyhole and squeeze the tube - Keep doing this until the compound starts coming out. If you see dirt particles inside the compound, continue to squeeze the tube so that all of the dirt is forced out. Once the compound is clean, you can stop. Take a piece of cloth to remove the lubricant that has come out. 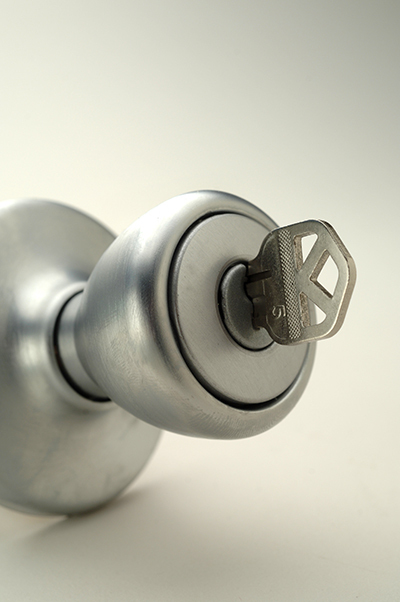 The professionals of Locksmith Glenview recommend that you spread a little bit around the front of the cylinder for best results. Lay the key on a table over a piece of paper and lubricate the blade from both sides - add a small amount of lubricant to the lower end of the blade and spread it with a brush to the tip. Remember to cover all crevices and cuts. Repeat this for the other side. Keep in mind that in case the item is damaged timely key repair or replacement is required. You must not use the key if it is in such condition. Insert the lubricated key into the lock and turn it several times in both directions - this will allow for the proper spreading of the lubricant.